I can’t even describe the expectation I had from George Clooney’s ‘Suburbicon’ especially after learning that the script itself was written by the legendary Joel and Ethan Coen. My fault was, I guess, that I anticipated more than this film could offer. And please do not get me wrong. Reading my negative review does not mean you will have to drop the idea of watching it. No, of course not! But it’s fair to bring up a few things that actually ruined the entire film which was a pity having such a great concept and a stellar cast in it. 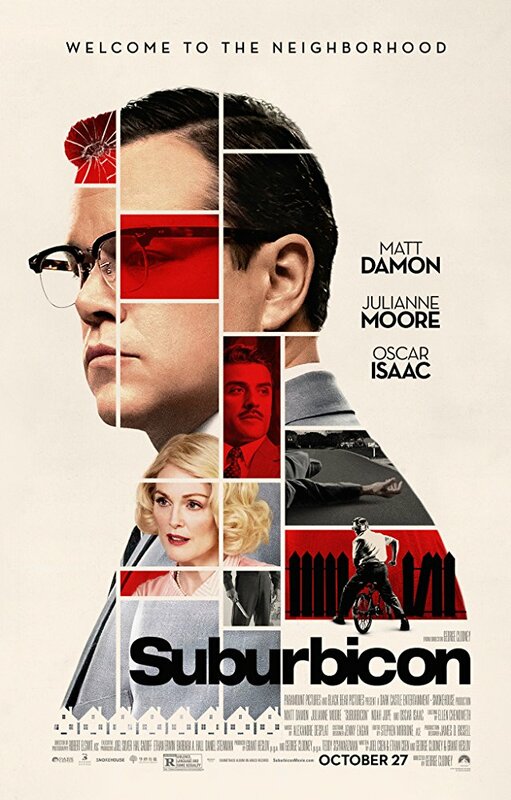 Suburbicon follows a so-called white family, the head of it is Gardner (Matt Damon). He has a disabled wife (Julianne Moore) and a son, Nicky. They all live together in the city called Subirbicon, built in 1947. During a robbery, his wife gets killed. The investigation first starts against a black woman that moved in but was not accepted by the society, and the insurance investigator (Oscar Isaac) to determine the cause of death of the insurer before paying the money. All these come together in a chaotic hunt for happiness, relief and simple satisfaction through the insanity now our society lives in.